Many computer Sound Cards used to have a ‘virtual’ audio input called “Stereo Mix”, “What U Hear” or “What You Hear”. However, many sound cards don’t support this feature. How do we get this feature back in Windows 10? I’ve found some free software, and worked out how to best configure it so anyone can use it! Stereo Mix allows you to record exactly what was being output to your speakers, without going through any analog/digital conversion. This feature is very handy for recording the audio off a website. Why was it removed in Windows 10? I don’t think Stereo Mix was ever technically removed – it was a driver-specific feature only supported by specific hardware. I’ve still seen it on some Windows 10 PCs, but it’s not as common these days as it used to be. Many sound-cards (particularly onboard sound cards) don’t have this support. This isn’t a case of Microsoft being evil, or backing the recording industry. What is the official replacement? 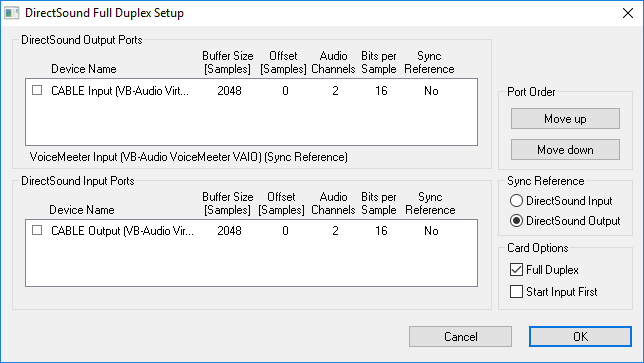 Windows now has the WASAPI, which is supported in particular by Audacity and some newer Adobe Audition releases. It presents a specific WASAPI input which replicates the audio currently being streamed to an output. However, this new feature requires the developers of each program to support it – so this doesn’t really help those of us with a few Adobe Audition 3 licenses floating around. If you want a simple way to record your computer’s output, use Audacity (it’s free and easy to use for recording). If you want to use another audio recorder… read on! What’s the solution for Windows 10 Stereo Mix? I’ve found several programs that promise to let you stream audio between programmes. These include Virtual Audio Cable (VAC), and JACK. However, these programs are quite complicated and aren’t for the inexperienced. VAC is also a paid program. 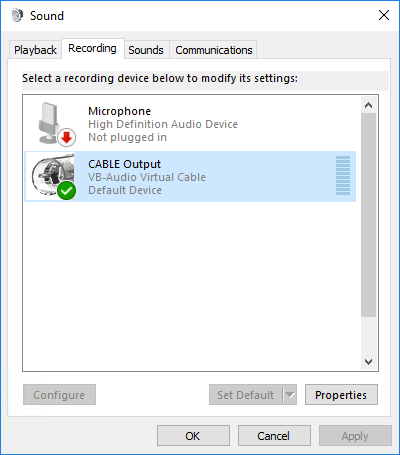 The best program I’ve found for Windows 10 Stereo Mix is VB Audio Cable. VB Audio Cable essentially creates a single output and single input. The audio on the output is routed to the input. Any audio program can record this virtual ‘input’. Once it’s installed, go to Control Panel > Sound and check that your new audio input and output has been created. To make it easy to record, set both the input and output as your default devices. VB Audio Cable also comes with a control panel. It requires no installation… just open VBCable_ControlPanel.exe from the Downloaded ZIP folder. In here, you can select Sample Rates up to 96Khz. You can also monitor audio levels. 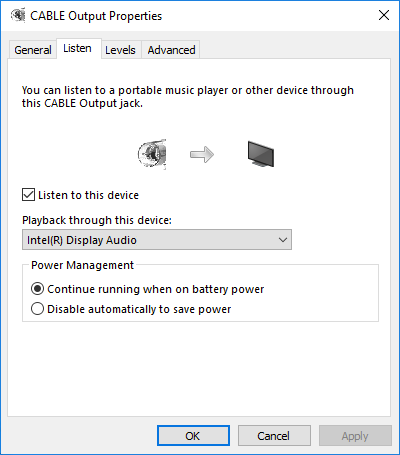 When you set the VB Audio Cable as your new Default Playback Device, you won’t be able to hear the audio through the speakers. Thankfully, Windows 10 comes with an easy solution. Open up the Sound Control Panel again, go to the “Recording” tab, and select “Properties”. In the “Listen” tab is a checkbox called “Listen to this device”. When you check it, you can now choose your speakers or headphones and listen to all the audio as you record it.